Click «Request form» for more details. TripleSuitable for hosting 3 persons. It is "equipped" with special style and comfort. 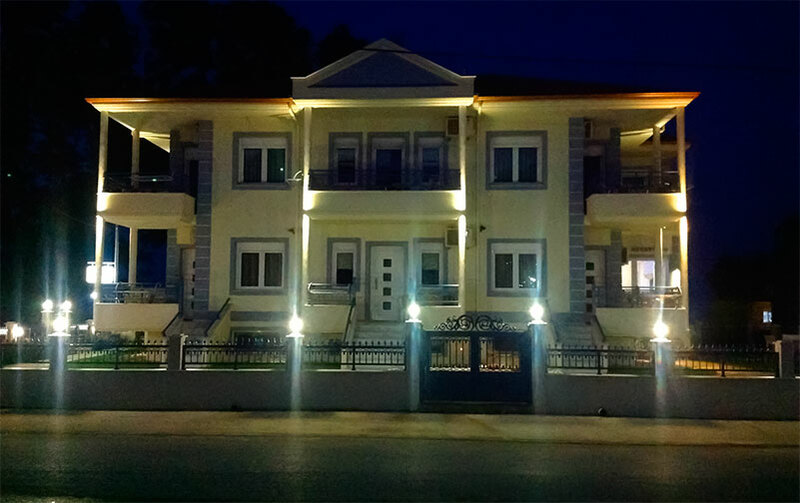 ApartmentIdeal for hosting 4 persons with separate rooms for comfortable accommodation and rest. 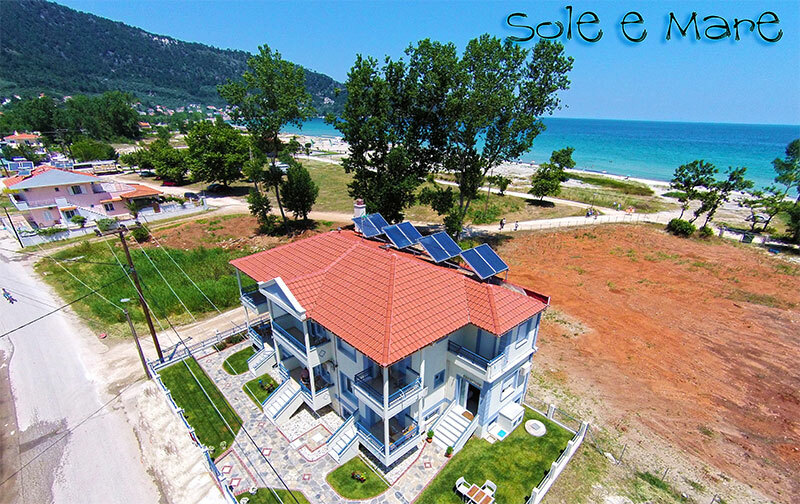 This newly built Villa, constructed at 2013, is situated just 50 meters from the famous Golden Beach on Thassos Island. 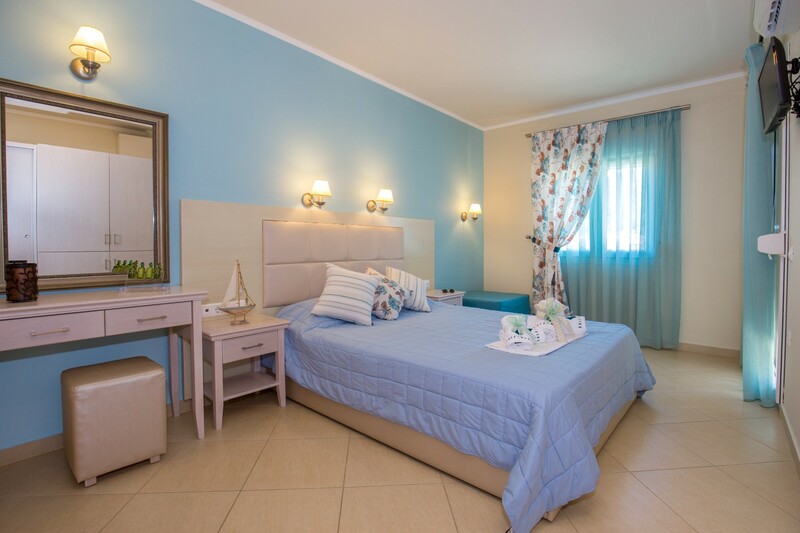 With such an advantageous position, your vacations on the island couldn’t be something less than magnificent. 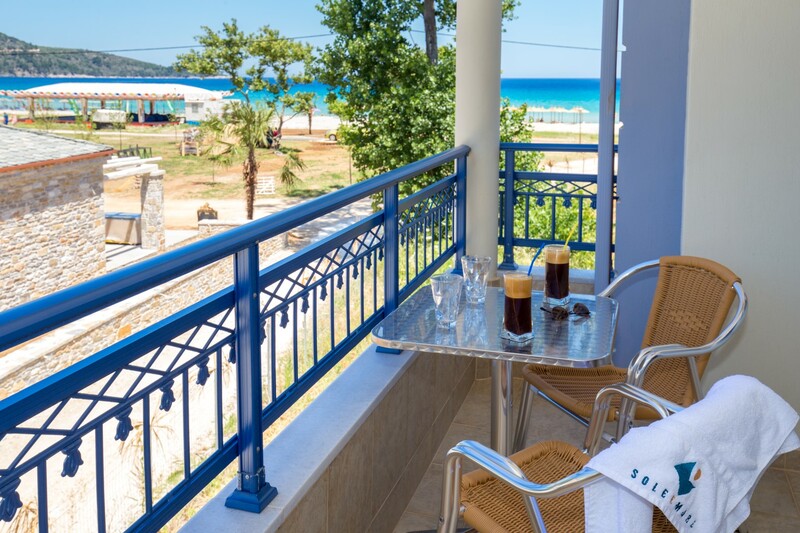 Enjoy the magnificent view over the beach and mountain from your room and let your senses take in the afternoon breeze over a drink or a dinner. 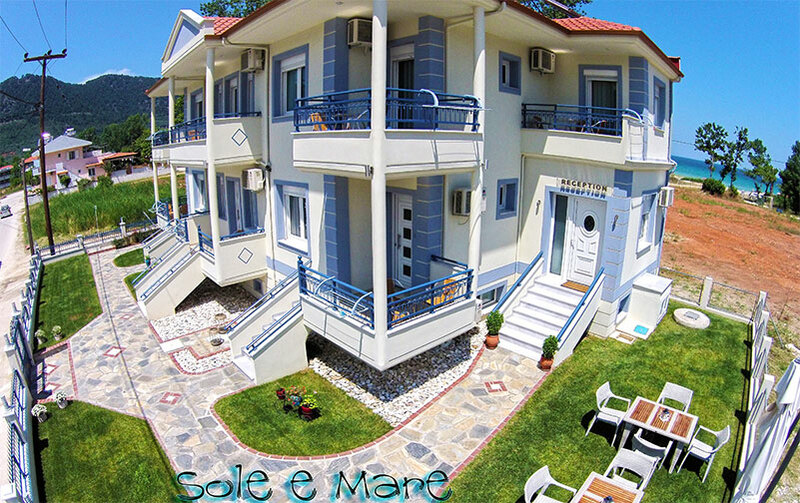 Visit Sole e Mare and live an incredible experience this summer!